I am currently listening to Episode #2 of Ditchdiggers with Mur Lafferty and Matt Wallace. They are discussing the Stacey Jay Kickstarter fiasco and how the YA community gave her enormous grief about asking for readers to support the creation of her work. Which is the basis of EVERY KICKSTARTER CAMPAIGN EVER! On Thursday evening at 9 PM EDT (or whenever I get there after child bedtime) I am going to be a part of a roundtable for the Nutty Bites podcast talking about these issues. I am really looking forward to the conversation and hearing what everyone else has to say. I will just note here that although I didn’t know about the Stacey Jay situation when I recorded my Patreon video, there is a reason why it was done with me pretending to smoke a pipe and affecting a highly exaggerated pomposity. I was trying to preemptively short circuit exactly that line of thinking. Aka +Mur Lafferty? and +Matt Wallace?. 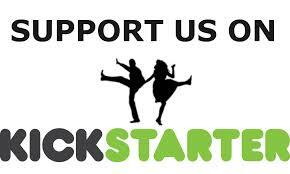 Just to clarify, we are discussing crowd funding in general, not necessarily Stacey Jay in particular.